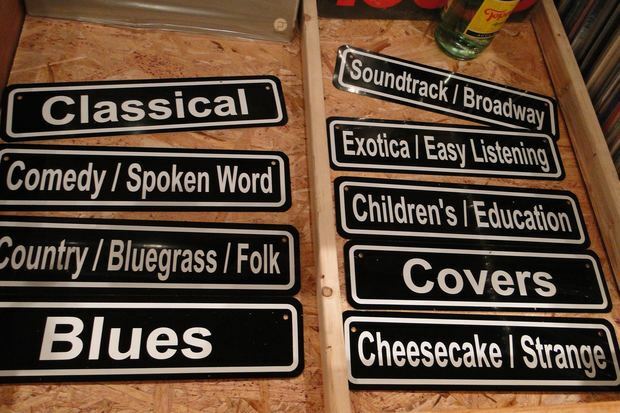 WICKER PARK — Come Saturday there will be a new spot to find vinyl in Wicker Park, as sales of records continue to surge. An admitted perfectionist, Shuga Records owner Adam Rosen, who had planned to open by the holidays, said he wanted to wait until more inventory came in before opening his shop, just north of the Milwaukee and Ashland avenues. "My girlfriend said, 'You've just got to pick a date,'" Rosen said on Friday. 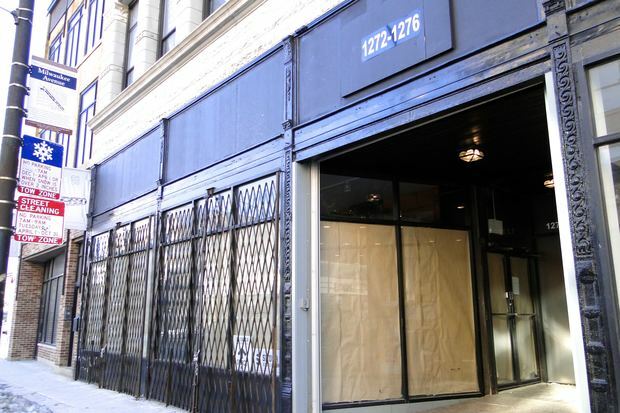 In August, Shuga Records at 1272 N. Milwaukee Ave. signed a nine-year lease to join the new 826CHI headquarters as the second tenant in the former Diana's Shoes storefront. Rosen with Chilly Willy, the shop's cat, who will be hanging out in the back room and likely not interacting with customers. 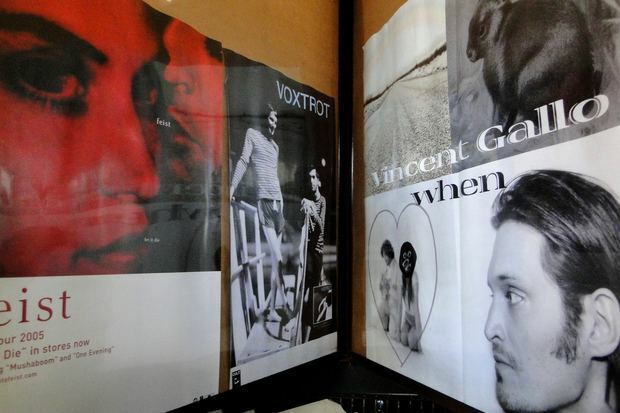 Shuga Records — which also will sell concert posters, used turntables and cassettes — is set to open at 10 a.m. Saturday, Rosen said. Rosen's 2,800-square-foot store is one block from the newly expanded Reckless Records, which plans to open in late March in the former Dollar Buster at 1379 N. Milwaukee Ave.
Charles Taylor, CEO of the popular independent chain, said on Monday that Wicker Park's existing Reckless Records at 1532 N. Milwaukee Ave. will remain open through the end of June before it permanently moves to the two-story, 15,000-square-foot vintage building. 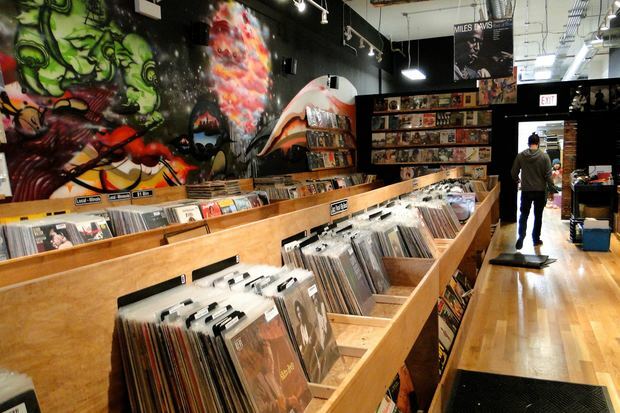 That means until the end of June, along with Shuga, there will be three record shops within three blocks of Milwaukee Avenue (Add Dusty Groove, around the corner at 1120 N. Ashland ave., for a fourth). 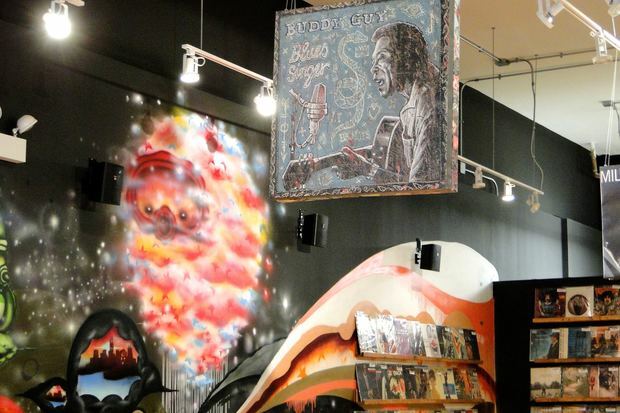 Shuga Records specializes in rare and hard-to-find vinyl and bills itself as Chicago's largest online record store. Shuga's name evolved out of a DJ nickname, Adam "Shuga Rose," that Rosen said he used several years ago. Rosen previously said he had been searching for a spot in Wicker Park for more than three years, in part because his North Lawndale warehouse sees many of its online sales from customers in the Wicker Park area. On Friday, Rosen said he has about 15,000 to 20,000 records in the sales bins and hopes to soon grow that number to around 30,000. 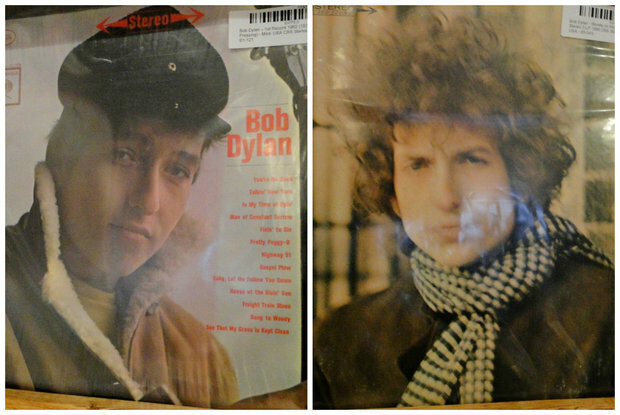 In a back storage room, there are an additional 100,000 records that are categorized on shelves. Customers can search for titles on two iPads near the front of the shop. Among the 25-some categories of albums, arranged in alphabetical order by artist, are local, which for now includes albums by bands from Minnesota, where the 36-year-old Rosen is from; along with rock; trance; house; blues; jazz; and more. 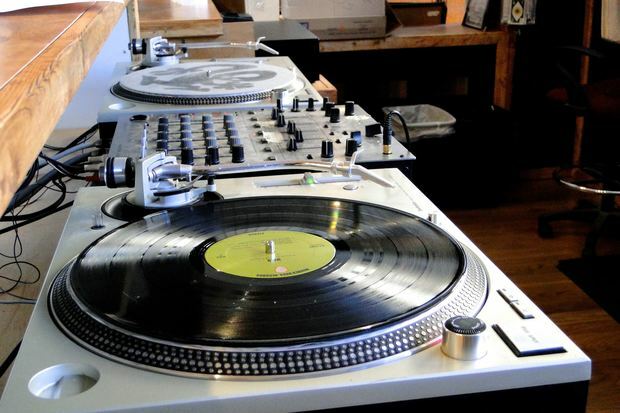 In addition to vinyl albums, Shuga Records has a small selection of used turntables for sale in the back of the shop. Rosen said he would eventually would like to sell new turntables, too. 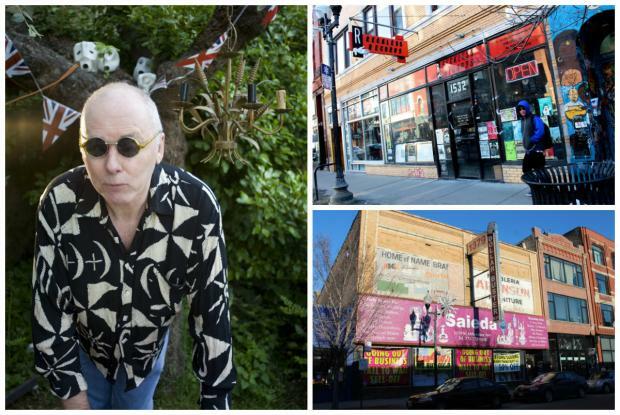 Rosen and a core staff of five has been working on the store for the last five months, most recently putting in 14-hour days, seven days a week, he said. A DJ booth at the front of Shuga Records, where local DJs can spin. Shuga Records, 1272 N. Milwaukee Ave. Hours: 10 a.m.-10 p.m. Mondays-Saturdays; 11 a.m.-10 p.m. Sundays. Phone: 773-278-4085.